Few chronic conditions present a greater financial burden than the management of diabetes. Usually striking the teenagers just leaving the family's insurance plan or adults in the 40's and 50's, when insurance is especially expensive. Therefore it can be tempting to skimp on testing or treatment to save money. Don't. Diabetes is a disease you must keep under control. 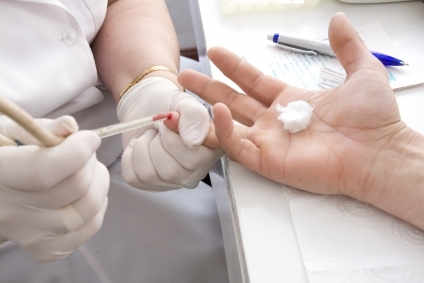 You cannot control your diabetes unless you test regularly. If you use insulin, unless you are very exacting about diet and activity (and most diabetics are not), you need to test every time you take an insulin injection. If you do not use insulin, you need to test at least once a week and preferably once a day or even more often. It is not easy to save money on diabetic testing supplies, although most of the chain drugstores, many supermarkets, and WalMart offer their own, much less expensive testing kits. When you may be able to save money, however, is through the sensible use of alternative medicine for diabetes. Here is an A to Z guide of the nutritional products and herbs with the best science and the most reliable track record of use. Alpha-lipoic acid is a versatile antioxidant that is soluble not just in water but also in fat. This means it is more completely absorbed when taken by mouth than water-soluble vitamin C or fat-soluble vitamin E. Alpha-lipoic acid is an insulin mimetic, which is to say, it locks on to cells and performs some of the same functions as insulin. You can't give your insulin and just take alpha-lipoic acid, but you probably will get the same extent of lowering of your blood sugars as you will with a low dose of Glucophage (metformin). Just be sure that you take a version of the product that combines alpha-lipoic acid with the B-vitamin biotin or you also take supplemental biotin, 1 mg of biotin for every 100 mg of alpha-lipoic acid. Alpha-lipoic acid depletes biotin. You don't need to take specifically R-lipoic acid, although this more expensive product is better absorbed. It is const effective just to take more, up to 2,000 mg a day, of the less-expensive product. If there is anything diabetics and their doctors can agree on, it is that losing weight is very difficult if you have diabetes. The combination of alpha-lipoic acid and L-carnitine will not only help you control your blood sugars, it will also help you lose weight (and generally tone up sagging skin on the face and jaw line). Burn more of both glucose and fatty acids. This combinations of naturally occurring antioxidants had another useful effect. Like the drugs Actos and Avandia, alpha-lipoic acid and L-carnitine stimulated a gene called PPAR-gamma to clear fatty acids and glucose out of the bloodstream. Unlike Actos and Avandia, however, they did not stimulate the deposit of fat into fat cells. Many diabetics report that taking a supplement combining these two antioxidants (which will generally cost about $0.80 a day for a 1,500 mg dose) helps them regulate blood sugars and lose weight. You may have heard that chromium is all you need to control blood sugars and control diabetes. That is not true. Scientists have known for about 50 years that chromium is a component of Glucose Tolerance Factor (GTF), enabling liver and muscle tissue to transport sugar out of the bloodstream and into cells where it is needed. The magnitude of this effect is limited. When diabetics are deficient in chromium, then taking chromium usually lowers blood sugars by about 15 mg/dl. That helps, but there are very few diabetics for whom that degree of blood sugar lowering will be enough. Still, chromium is inexpensive and poses no side effects, and should be part of any diabetic's nutritional supplement plan. Every retailer of supplements in the US nowadays offers cinnamon supplements for diabetics. There is some clinical research that indicates that these supplements actually work. Scientists in Pakistan, cooperating with a research team in Maryland, gave type II diabetics who were not on any other medications 1, 3, or 6 grams (1 gram = 1,000 mg) of cinnamon every day for 40 days. There were some significant results. Fasting glucose was lowered 18 to 29 per cent. For most diabetics this would translate to a decrease of 25 to 50 mg/dl. The "bad" cholesterol LDL was lowered 7 to 27 per cent, and fasting triglycerides were lowered 23 to 31 per cent. The "good" cholesterol HDL was increased by up to 20 per cent. Moreover, the researchers found that the benefits of taking cinnamon continued for several weeks even after the volunteers in the study quit taking it, and the optimum dose was not the highest dose. The best results were obtained by taking 3,000 mg a day. The only "catch" in taking cinnamon for diabetes is that it is not helpful when blood sugars are extremely high, and it is not enough to lower blood sugars to what are generally considered safe levels. There are over 1,300 herbs that lower blood sugars, banaba, fenugreek, green tea, and rehmannia the most widely used worldwide. There are also reported beneficial effects from vitamins C, D, and E, and there are sometimes spectacular remissions from diabetes after a few weeks of strictly vegan raw foods diet. For most diabetics beginning to get control over their disease, alpha-lipoic acid, L-carnitine, chromium, and cinnamon are good ways to get better control without high expensive or disruption to your life. Huang EA, Gitelman SE. The effect of oral alpha-lipoic acid on oxidative stress in adolescents with type 1 diabetes mellitus. Pediatr Diabetes. 2008 Jun.9(3 Pt 2):69-73. Epub 2008 Jan 22. Kirkham S, Akilen R, Sharma S, Tsiami A. The potential of cinnamon to reduce blood glucose levels in patients with type 2 diabetes and insulin resistance. Diabetes Obes Metab. 2009 Dec.11(12):1100-13. Shen W, Hao J, Tian C, Ren J, Yang L, Li X, Luo C, Cotma CW, Liu J. A combination of nutriments improves mitochondrial biogenesis and function in skeletal muscle of type 2 diabetic Goto-Kakizaki rats. PLoS One. 2008 Jun 4.3(6):e2328. Singh U, Jialal I. Alpha-lipoic acid supplementation and diabetes. Nutr Rev. 2008 Nov.66(11):646-57.